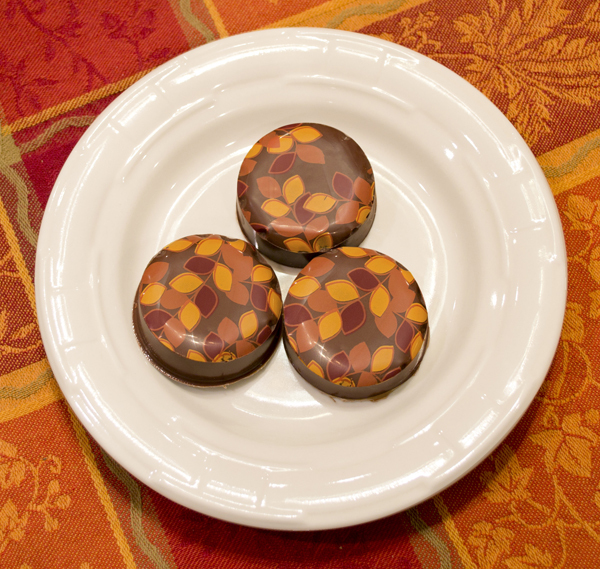 Well I like to experiment, so this year for Thanksgiving I decided to try using chocolate transfer sheets. 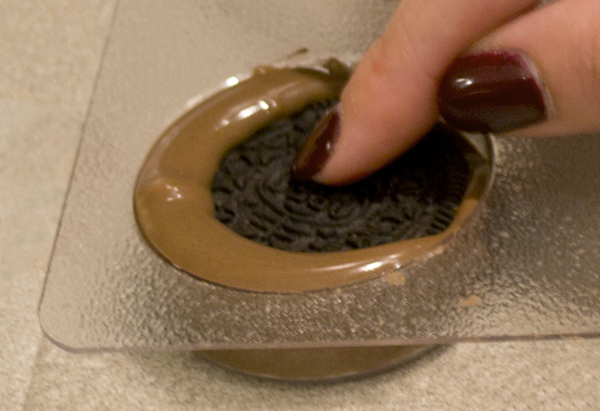 Of course chocolate dipped Oreos with some drizzles look great, but I like a challenge. I’ve included a few tips that I learned along the way that will help make things a little easier. Take the chocolate transfer sheet and place a piece of thin paper on the dull side (this is the chocolate side). Place in paper punch and punch out circle. I found the extra sheet of paper helps keep chocolate from clogging up the paper punch. 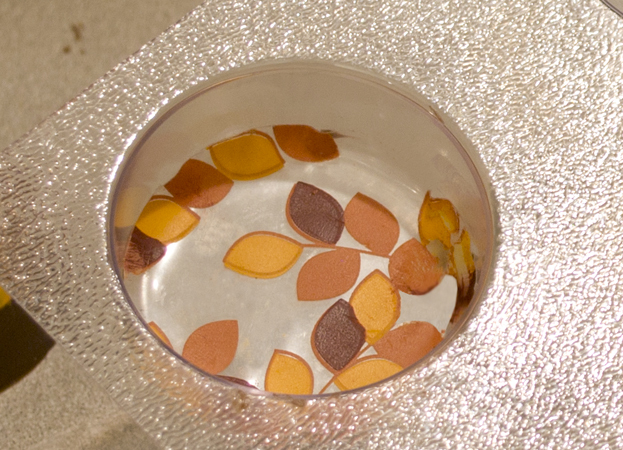 Place punched chocolate transfer circle, shiny side down, in mold. 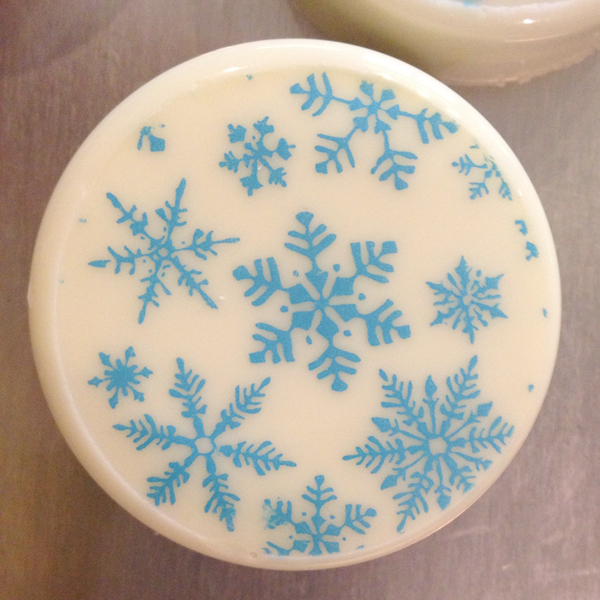 Yea, I did this incorrectly a couple of times and ended up with the chocolate transfer on the mold. No worries, you don’t have to clean it out to reuse, just put transfer circle in correctly next time and the next batch will come out perfect. Press Oreo into mold until it’s just below the top level of the mold. Spoon more chocolate over Oreo until covered. 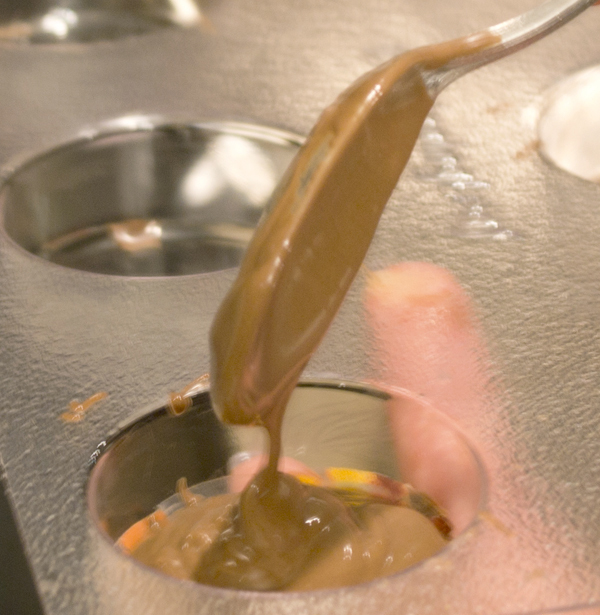 Tap again on counter to remove air bubbles and to make sure the chocolate has gotten down the sides of the cookie – this will also smooth out the chocolate. Place in refrigerator for 10 minutes or until chocolate is firm. Turn over mold and pop out cookies. 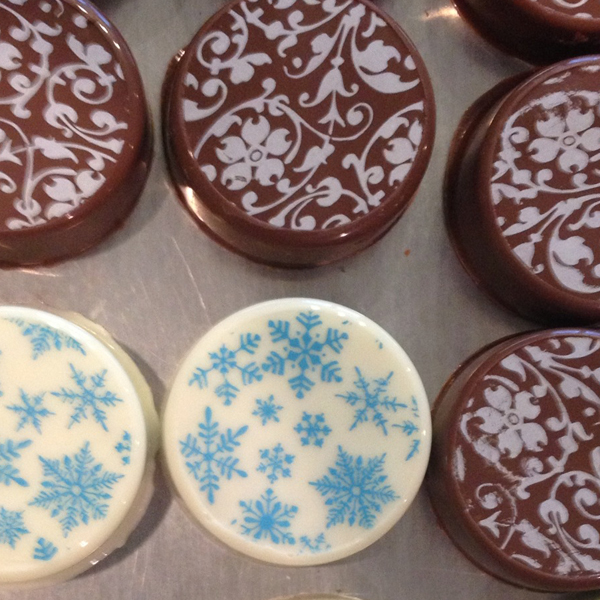 They look great, but remember you still have to remove the clear plastic from the chocolate transfer. Using a sharp knife, carefully lift up edge of plastic and peel off. Not bad for a first try…not great, but not bad! Good luck and have fun! *I do not receive any compensation from this site…I’m just giving the facts. **I originally started out with a 2″ hole punch. This was slightly large for my mold…you can see my edges on top of cookies are rounded and not sharp. Now I have a 1.73″ punch. I’ll try this again at Christmas and let you know how it works out. This entry was posted in Candies, Cookies and tagged chocolate, chocolate covered oreos, chocolate oreos, oreo recipe, oreos, recipe by recipes2luv. Bookmark the permalink. Hello how many Oreos can you make using one transfer sheet? 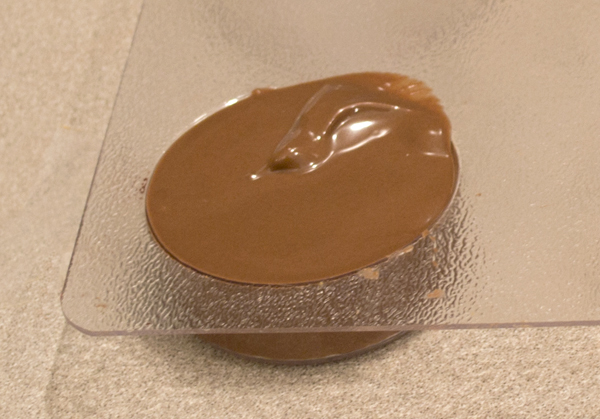 Chocolate transfer sheets come in different sizes. The one I used is approx. 12-3/4 x 9-3/4 and I get 20 transfers out of it. Great tutorial, especially with giving measurements for circle. where did you buy transfers? 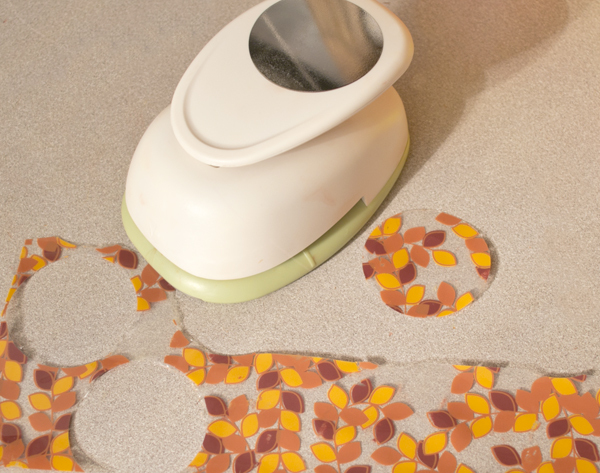 Here’s links to the two places I order from: http://www.sugarcraft.com/catalog/candies/transfersheets.htm and http://www.fancyflours.com/category/Chocolate-transfer-sheets (FYI, I do not receive anything for recommending these two sites). Good luck and have fun! Where did you find the smaller hole punch? I have only been able to find a 2″. Thank you – great tutorial! How did you get the punch to make perfect circles? I have the same 1.73 inch punch and i used the paper technique you talked about but it still doesn’t cut cleanly like yours…any tips? The only thing I can think of is to make sure your punch is on a hard surface and push down quickly and firmly. I did have a few times where I had to finish cutting about an 1/8 of an inch of the circle with scissors, but that probably only happened 3 times. Good luck and let me know if this helps.